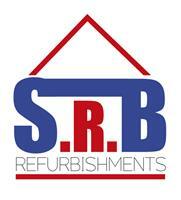 S R B Refurbishments - Bathrooms, Bedrooms, Kitchens, Painter/Decorator, Tiler - Tiling based in Marden, Kent. Hi my name is Sam from S.R.B refurbishments we have been carrying out successful refurbishments of property's for 15 years now. Whether it be plastering, tiling, bathroom or kitchen refurbishment I'm sure with our experience and attention to detail we can transform your property in to a home.